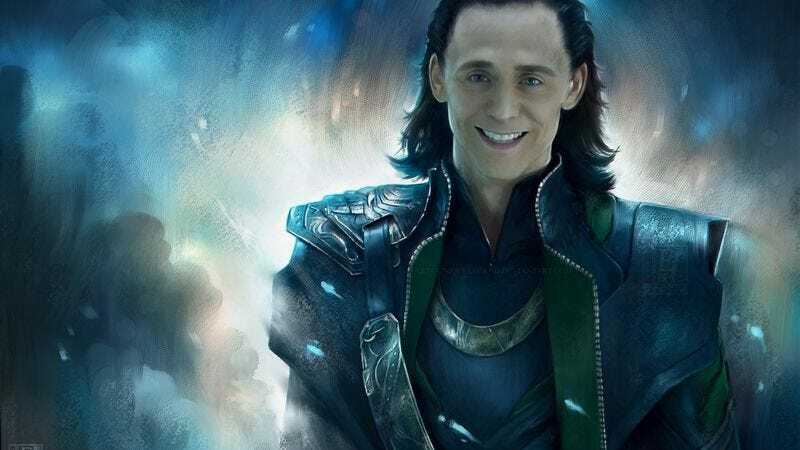 Since the release of Thor, fans have been clamoring, nay, yearning for a stand-alone movie featuring the film’s villain, Tumblr dreamboat Tom Hiddleston. They’ve even gone as far as petitioning Barack Obama to call up Kevin Feige and get that thing going. Well yearn no more Hiddleston fans, for Vimeo user Loki Odinson (Tom Hiddleston was taken) has released his own fan edit to sate that desire. Using footage from Thor, Thor 2, and The Avengers, Odinson has created Loki: Brother Of Thor, the world’s premiere venue for two hours and fifteen minutes of loosely connected footage of Tom Hiddleston chewing on scenery. The edit sets out to “chronicle the character development of Loki [note: this is the character Tom Hiddleston plays] into a single narrative” and seems to mostly succeed, although this comes at the cost of “some fluff and even some beloved fight scenes,” which doesn’t seem like such a high price to pay; it’s harder to see Tom Hiddleston’s face in fights. You can watch the whole thing embedded below. Meanwhile, we’re still anxiously awaiting another upcoming fan edit: Obadiah: Business Advisor To Iron Man.